Heavy fighting around Boulogne. Units of the German 6th Army cross the Scheldt river at Oudenarde in Belgium. Sir Oswald Mosley and other British fascists arrested. 76 IRA men arrested in Northern Ireland. During the evening, the cruiser HMS Suffolk sights the Bismarck and Prinz Eugen in the Denmark Straight. The Home Fleet makes ready to intercept at dawn on the 24th May. Further German attempts to land troops by sea on Crete are repulsed as heavy fighting continues around Canea. Luftwaffe sinks two more British destroyers off Crete, Kashmir and Kelly. 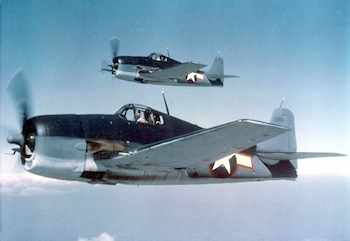 US Navy orders production of Grumman F6F Hellcat fighter. The British C-in-C of the Home Forces orders an end to ‘blood-lust inculcation’ in battle training. Air Marshal Harris issues his orders for operation ‘Millenium’. The target is to be Hamburg, with Cologne as an alternate. The raid was to take place on the night of the 28th/29th May, or the first suitable night thereafter. The heaviest RAF raid of war to date is made against Dortmund, during which 2,000 tons of explosives are dropped. The British claim that 313 Axis ships have been sunk in the Mediterranean since the battle of El Alamein. General Hans Cramer, the last German commander of the Afrika Korps, who was captured in May 1943, arrives in Berlin. Imprisoned in a POW camp in Wales, his deteriorating health caused him to be repatriated to Germany through the Swedish Red Cross. He was brought first from Wales to London, the route taken brought him through the south and south-west of England. He was allowed to see the massive build up of tanks, planes and ships getting ready for the D-Day invasion. What he didn’t know was the exact area of England he was being driven through. He was told it was southern and eastern England and this is what he reported to his seniors in Berlin, adding emphasis to the Allied propaganda that the invasion would take place in the Calais area. The U.S. Fifth Army begins an offensive from the Anzio bridgehead toward Rome. Canadian troops breach the Adolf Hitler Line to the South West of Monte Cassino. Chinese forces counter-attack in central China, and also make ground along the Burma Road. British troops arrest the Donitz government and the remnants of the German High Command at Flensburg. Himmler commits suicide at the British Second Army HQ on LÃ¼neburg Heath. The heaviest air raid so far on the Japanese homeland, see USAAF bombers drop 4,500 tons of incendiaries on Tokyo. 21% of the city is now burnt out, but the firebombing continues for next four days.